Preheat oven to 425 degrees Fahrenheit. Warm garlic and olive oil to blend flavors. 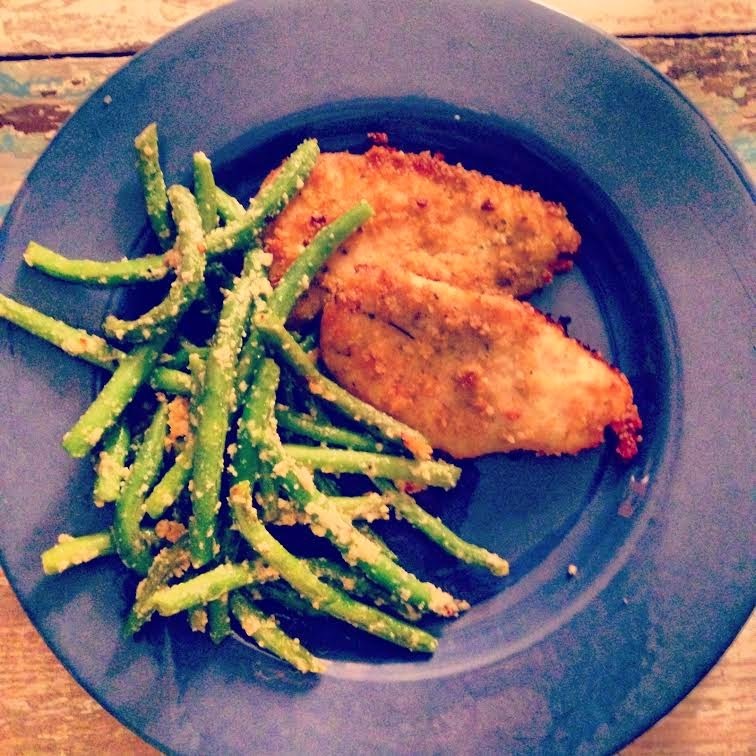 In a separate dish, combine the panko and cheese. Dip the chicken in the oil and garlic mixture, then in the panko and cheese mixture. Place in a shallow baking dish. Bake for 30-35 minutes, or until the chicken is no longer pink and juices run clear. Mix all ingredients in a bowl. Place on a baking sheet (I put aluminum foil down on the baking sheet first). Also, I keep the oven on from the Panko Crusted Chicken (425 degrees Fahrenheit) and bake these bad boys for 10-15 minutes. Okay… this shake is freaking amazing. Over the summer, I usually work out in the mid-morning and am done close to lunch time. 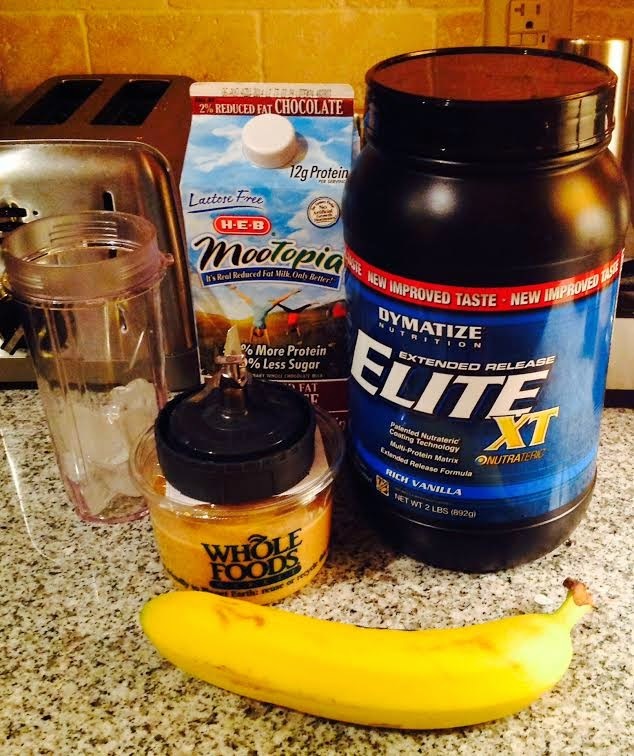 This shake is perfect for after workouts or if you're like me, then it can be a good lunch!